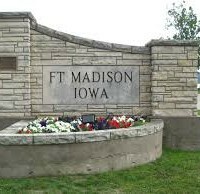 Tough economic time is pushing the Fort Madison City Council to abandon a long term project for the city. In a three-hour work session last (Tuesday) night, the council weighed the cost of the Amtrak Station and the renovated Depot building against the need to revitalize the cities general find that has dwindled to less than $100,000. In the end, the decision was made to cut the depot building which according to City Manager Dave Varley will put $350,000 back into the cites fund. The city remains interested in developing the dock for a proposed stop for Viking Cruise Lines. The city did decide to include $25,000 in economic development funds to Lee County Economic Development. The council gave Varley some direction to draw up another budget for the council to consider.